All full-time employees of the University of North Texas (UNT) are enrolled in either the TRS (Teacher Retirement System of Texas) or the ORP retirement plans. 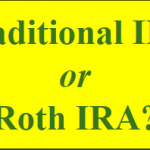 The one-time decision between these two retirement plans is vital and irreversible, but a discussion for another time. If at some point in time an employee wants to save additional money for retirement, they come face-to-face with a dilemma – should you choose the Texasaver 457 plan or the TSA (Tax-Sheltered Annuity) 403(b) plan? These are both supplemental retirement plans available for full-time employees of UNT! That’s right, UNT has four different retirement plans – TRS, ORP, 457, and TSA 403(b). If you are trying to decide whether to contribute to the 457 or TSA 403(b), you are in the right place. First let’s discuss the key points of each plan, then we can give some general guidelines on which may be a better fit. The Texasaver 457 plan (technically spelled Texa$aver) is a retirement plan for State of Texas employees, including UNT (and TWU) employees. In fact, most employees at public universities in Texas have the option to contribute to this plan. The plan is administered by Empower Retirement, a division of Great-West Life & Annuity Insurance Company. The Texasaver 457 has many similarities to a 401(k) or 403(b) plan, including the same annual and catch-up contribution limits. To keep the discussion simple, just think of the 457 as a special type of 401(k). It can be invested in about a dozen mutual funds with allocations to stocks and/or bonds, plus has a series of target-date funds for those who don’t want a custom investment allocation. No money market fund. While this isn’t something many investors will utilize, it is still useful to recognize the Texasaver doesn’t have a money market or FDIC insured account. No 10% early withdrawal penalty. If you leave UNT (or state employment) and are younger than age 59 ½, you can take withdrawals without a 10% early distribution tax penalty. This is different than 401(k) and 403(b) plans. Consider this a big plus, but the distributions are still taxable as regular income. 457 Roth feature. Though the Roth feature has been available in the Texasaver 457 for a while, UNT just updated the payroll system to allow the Roth contributions in mid-2018. This allows for additional tax planning flexibility for retirement. Another big plus! Monthly Administrative Fee. There is a monthly fee charged against the account based on the account size. For example, a $10,000 account is assessed $47.88 per year, while a $100,000 account is assessed $163.44 in annual fees. $163.44 is the maximum annualized fee. Managed Accounts (Advisor Service) is available. If an employee wants professional help but doesn’t have a relationship with a financial planner, they can choose to use a managed account option for investment assistance. This option has a fee that tiers down as a percentage as the investment balance increase. For example, the first $100,000 in the managed account is charged 0.45% annually. Click here to see the fee schedule. If you work with a fee-only Registered Investment Advisor you should not need to select this service. Special Catch-Up Election – For those who are three years from retirement and haven’t fully contributed to the plan in the past, there is a special catch-up provision. In 2018 it allows up to $37,000 to be contributed and is an excellent option for employees who want to put in some serious money. Schwab PCRA is available. The plan also offers a Schwab Person Choice Retirement Account for sophisticated investors who want a wide universe of investment options. These are just the high points of the Texasaver 457, and not an exhaustive discussion of the plan. You can find detailed information on the plan by calling Empower Retirement at 800.634.5091 and requesting the Plan Document. If you’ve heard negative things about annuities, a “tax-sheltered annuity” might turn you off at first. Don’t worry, the TSA 403(b) is not like the annuities you may have heard bad things about. In fact, we just refer to the TSA as a 403(b) plan. A 403(b) is very similar to a 401(k) plan, including having the same contribution limits. In fact, it is so similar to a 401(k) that the tax code requires integrating employee deferrals to the 403(b) with any 401(k) deferrals in the same year. If, for example, an employee has a second job and defers $10,000 to a 401(k) plan, the maximum deferral allowed to the 403(b) is reduced by $10,000. This integration of contributions does not apply to the Texasaver 457 plan. So what benefits are there to the 403(b)? Choice of companies. The UNT TSA 403(b) plan has four different authorized providers to choose from – Fidelity, TIAA-CREF, Voya, and VALIC. It is also possible to change providers will participating in the plan. Typically, choice is a plus. Option of insurance guarantees. The nice thing about insurance companies is they are able to offer accounts with an interest rate much higher than a savings account or money market account. Typically, these accounts are guaranteed against loss by the insurance company and further backed by the Texas Life & Health Insurance Guaranty Association. For example, in June 2018 TIAA was offering a 4.0% rate on their account and guaranteed the rate won’t fall below 3.0%. Please note, there are some restrictions to withdrawals from these accounts. Special catch-up provision for employees with 15 years of service. The 403(b) also has a special catch-up provision, but it is not related to age. With 15 years of employment, it is possible for an employee to contribute an extra $3,000 to the plan annually. The exact calculation is a little complex and depends on an employee’s prior plan participation. Independent investment advice available. While all four providers offer internal consultants to provide differing degrees of assistance, TIAA-CREF allows participants to work with external independent investment advisors or financial planners. This can be a big plus by allowing participants to use retirement plan assets to access a much broader range of advice. 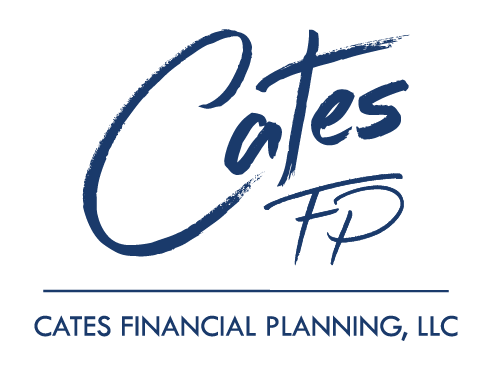 For example, Cates Financial Planning, LLC can provide a wide range of tax, financial, and investment advice just by through managing the 403(b) or ORP plan. Maximum contribution limit considerations. Just like the annual employee deferral to the 403(b) integrates with a 401(k) plan, the annual maximum contribution integrates with the ORP plan as well. In 2018 the maximum contribution to the ORP and 403(b) combined is $55,000, not including the $6,000 over age 50 catch up contribution. It is important to note that the $55,000 limit includes UNT’s matching ORP contribution and the 15 years of service special catch-up provision. Is the Texasaver 457 or the TSA 403(b) Better? The plans are different but both have the same primary purpose – supplemental retirement savings beyond the ORP or TRS. Since every employee’s situation is different and the variables are complex (remember, this isn’t a comprehensive discussion of the plans! ), I strongly encourage you seek professional assistance in making the decision. For those with the time and desire to learn the ins-and-outs of the plans on their own, here is a simple decision tree to help guide you. Are you contributing the maximum to a 401(k) plan? 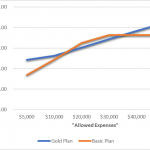 Do you want to use plan assets to access independent fiduciary advice? This can include tax planning, financial planning, investment advice, and more. Are you younger than age 59.5? Are you a conservative investor, or does the option of a fixed interest rate guaranteed by an insurance company appeal to you? Remember, the fixed rate doesn’t have to apply to all assets in the plan but it does have some restrictions on withdrawals. Do you want to make Roth deferrals? Do you want to contribute a significant amount of money? No: Make a decision based on other factors in your life. Remember, this decision tree is a guide, not a recommendation! If you want a recommendation based on your personal situation, please schedule an appointment. If you have any questions about the Texasaver 457, TSA 403(b), ORP, TRS, or any other employee benefits, please don’t hesitate to contact me. As a UNT alum and adjunct instructor at the UNT College of Business, I’m always excited to work with UNT employees.